Take the full backup and transaction log backup from the primary server and restore it on the secondary server in no recovery mode(in this mode no users can connect to the database). Open SQL Server Management studio connect to the primary server. 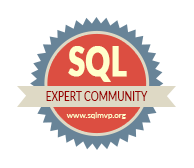 assign the port for principal server and check to add in exception in Firewall and in anti Virus.by default 5022 is assigned by SQL Server. This query is used to run on Principle/Primary Server, if your Principle server is SHUTDOWN for any reason, then the only thing you have to do is change the Mirrored Server to a Priciple server and the Database has to be accessed by the users. Nice post Anna! Really easy to digest for the beginners, too. I’ve subscribed your blog via RSS, Keep posting. All the best! In case of crash happen in primary, we can still use mirror DB without witness server. Perfect, thank you for posting this solution !! !